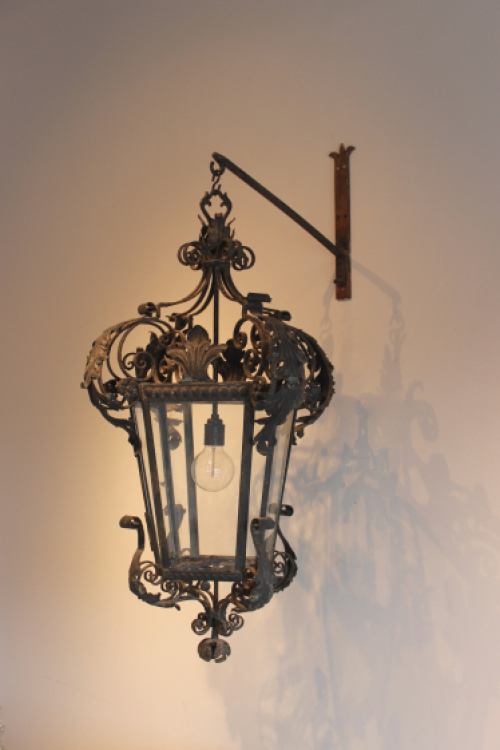 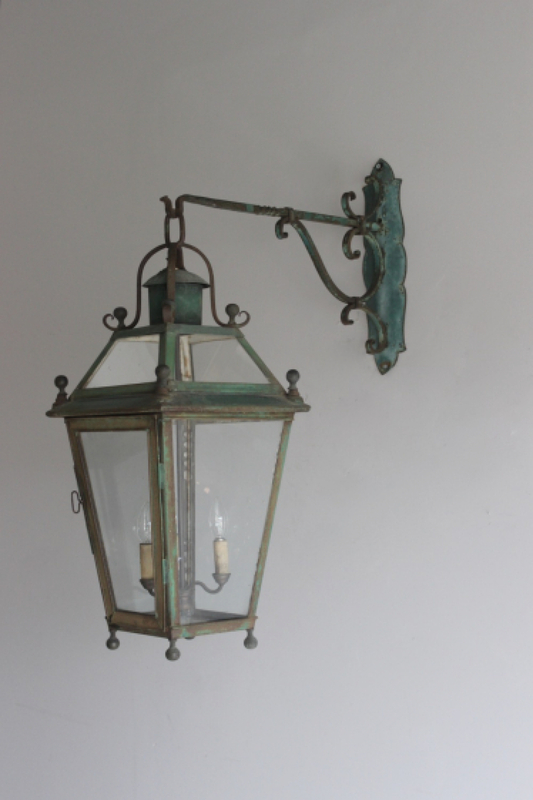 We are always on the lookout for good quality porch , portico and outside use lanterns and ships lights , the brevity of these old items in the market place generally is because they have had wear and tear that is not repairable or that their shape and configuration do not conform to the wiring standards we need . Pesently we have some lanterns that are for outside or for porch use - 'Porch lanterns' means that ideally the top of the lantern is covered , 'Portico lanterns' similarly though usually with these there are open sides to the building in which the lantern is situated . Colonade lanterns are for under a walkway which is covered but open at the front but protected from the weather . 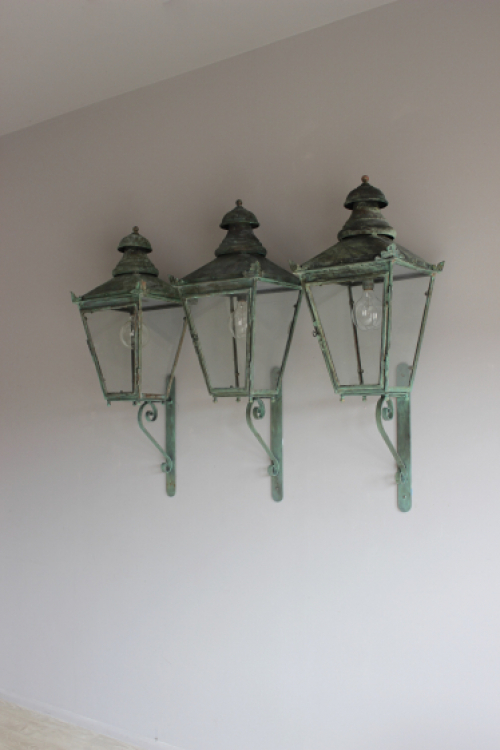 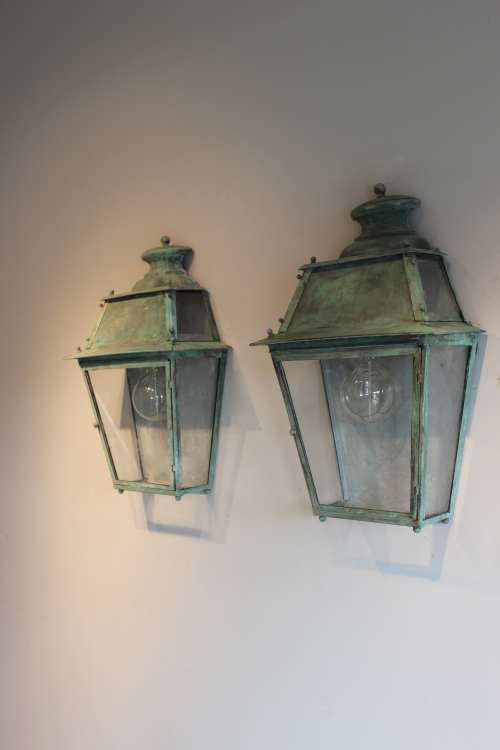 Most lanterns have steel back plates and are painted white inside or have white ceiling reflectors , sometimes these are damaged or removed and in which case the lantern is bare of either verdigris finish or paintwork , we usually( in these cases) paint the lantern inside with grey paint to relect the light . 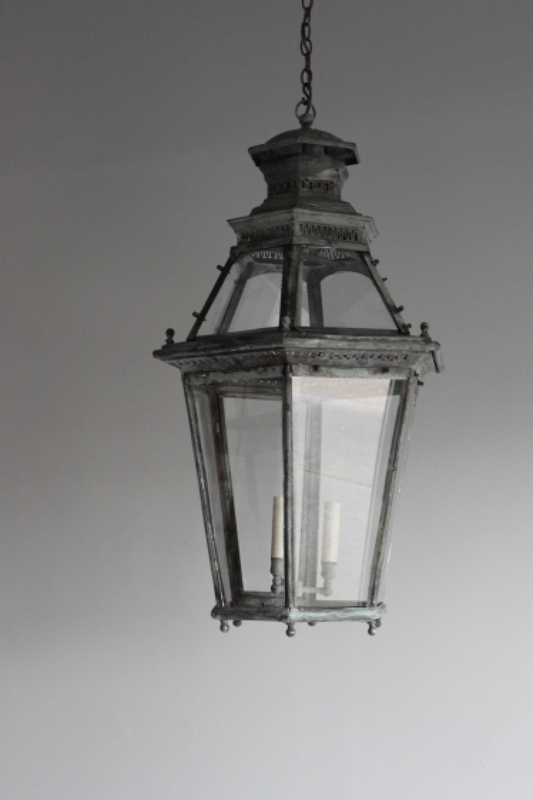 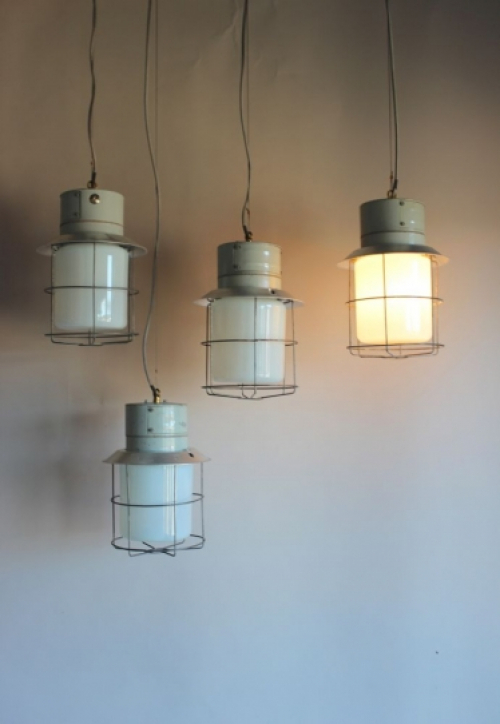 Lanterns with a slim framework and pagoda tops in various patters are the most sought after but because of the slim metal work they are often in a poor state . 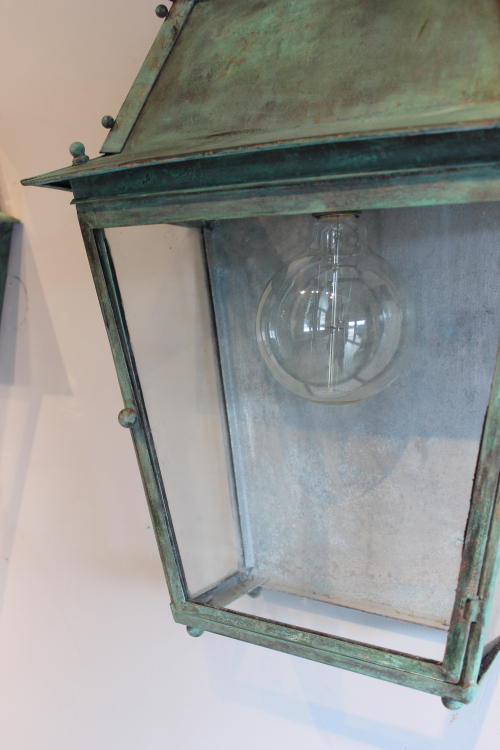 We are very careful . You may well pay a little more for your antique outside lantern but it will be a thing of beauty and history and hopefully last as long as you need it without calling an electrician after every phase of bad weather .